View the results of the indicators related to the Grow and Invest in Austin's Creative Economy Priority Program of Imagine Austin. A list of golf courses in Austin, their phone numbers, tee times and scorecards. This directory was compiled through a 2016 community mapping process as part of The City of Austin Cultural Arts Division's Cultural Asset Mapping Project (CAMP) and updated through Cultural Arts Division staff research in 2018. The directory is a comprehensive list of arts and cultural facilities, creative businesses and organizations, public art, and any other cultural or creative resources submitted by CAMP participants as cultural assets. For more information on CAMP and how you can use this directory, visit www.austintexas.gov/culturemapping.  This dataset was created by the City of Austin Economic Development Department for the sole purpose of informational reference and does not reflect an on the ground survey. No warranty is made by the City of Austin regarding specific accuracy of completeness. Address, phone number, hours and a brief description of Library locations.